Refinitiv's clients get access to our research and data with enterprise discount pricing. Thomson ONE clients get single sign-on access to our Unlimited Membership. Contact your Refinitiv sales person for details. Get more details in this press release. 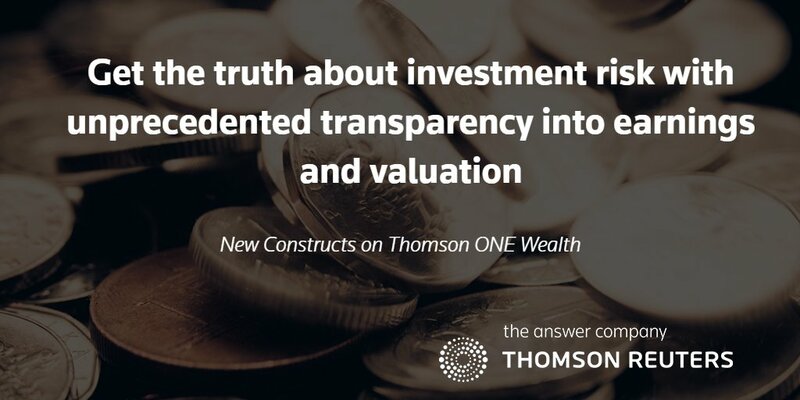 View our infographic and this FactSheet for the benefits of New Constructs on Thomson ONE . Watch our video on how to access our Unlimited Membership on Thomson ONE. 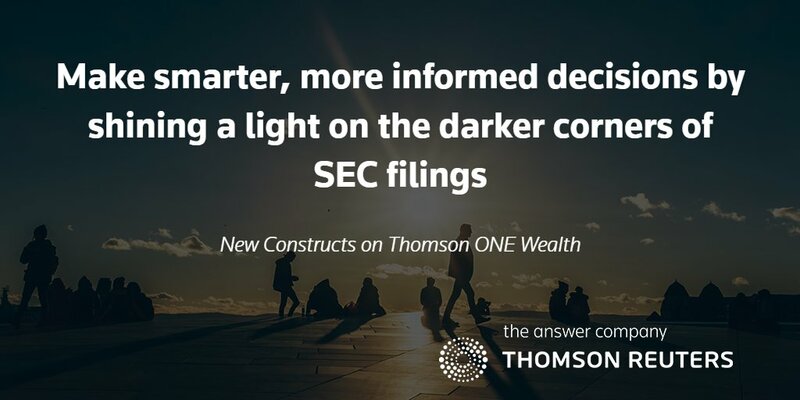 New Constructs offers more coverage with a focus on rigorous cash flow analysis than the competition. 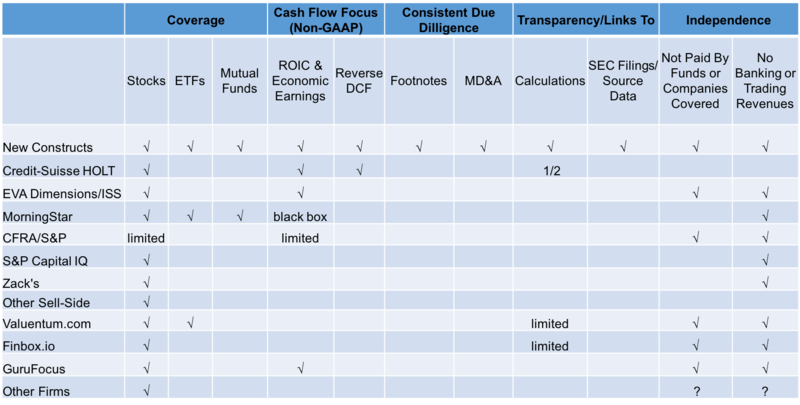 Our models are built on a data set that includes critical information from the footnotes and MD&A that other firms miss. We are totally transparent in our calculations and link all data back to the original SEC filings. We’re truly independent and don’t get paid by the companies or funds we cover. Contact your Refinitiv sales rep or admin to get access today!